@ Interior Architecture based in Brooklyn, NY Chango & Co. portfolio on Visura - a professional network to connect with photo editors and art buyers, and build photography portfolio websites. Visura members, like Chango, share photojournalism, art photography, landscape, travel photography, portraits and more. Chango has 0 projects, community news posts, and 0 images shared in the photo stream. 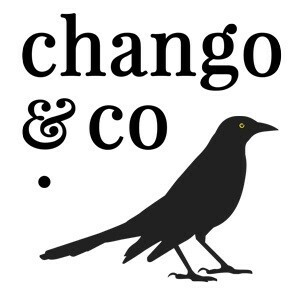 Chango & Co. is a full-service New York interior design firm specializing in interior design, interior architecture, custom furniture & millwork design and fabrication, audiovisual design and art curation & placement for high-end residences, restaurants & hotels. Chango & Co. is led by creative director Susana Simonpietri. Over the last decade, Susana has held the position of Senior Project Designer for some of the most prominent design firms in America, taking the lead designer and project manager roles for various international resorts, hotels, restaurants, and high-profile private residences. Susana received a bachelor’s degree in comparative literature from the University Of Puerto Rico, which included studies at La Sorbonne, Paris & the University Of Warwick, England. She received a Master in Fine Arts degree with a focus on Interior Design & Interior Architecture from Pratt Institute in 2006. By the time she concluded her studies, she was a Junior Designer at the prestigious firm of Benjamin Noriega Ortiz (BNO) in SoHo, NYC. At BNO she worked on several pitches for the W Hotel brand (for Starwood Hotels) and collaborated on designs for the homes of celebrity clients Lenny Kravitz, Sean “Diddy” Combs, and Damon Dash. After her tenure at BNO, she was scouted by Studio GAIA for the position of Senior Project Manager. At Studio GAIA she was project manager & lead designer for Donovan House, a 193-room hotel venture in Washington DC by the Thompson Hotel Group, a project which earned her recognition as one of “18 designers to watch in 2008” by Boutique Design Magazine. While at Studio GAIA she was lead designer and project manager for numerous restaurants, large-scale hotels, and residential architecture projects. From Studio GAIA, Susana moved on to Zeff Design where she held the position of Senior Architect. There she designed & managed a long list of projects including many well-published residential homes in NYC and the Hamptons, in addition to hotel projects and restaurant ventures around the world. Susana founded Chango & Co. in early 2009 and earned instant acclaim for the well-published design of The Mermaid Inn in NYC’s West Village. Her second project as Chango & Co. was the historical renovation of the 19th century brownstone townhouse she currently calls home. Her favorite color is navy blue, she speaks four languages fluently & she duly credits the Lego® building brick system for her success in architecture & interior design. The “company” in Chango & Co. consists of the firm’s creative director, managing director Joshua Kay, two junior designers, a revolving group of interns & a trusted team of contractors, custom furniture makers, upholsterers, a structural engineer & and on-staff art curator & assessor. Since we opened our doors in 2009 our team has completed dozens of residential and commercial projects with nothing but beautiful spaces and happy clients to show for it.